The Cosmic Psychos are a punk rock band based in Melbourne and rural Victoria in Australia. An underground band that has only ever achieved limited recognition, they were cited as a significant influence on the Seattle grunge scene of 90s. In particular they have been referenced by members of Mudhoney and Pearl Jam and have supported both bands. Known for their droning, fuzzed-out bass and wah-wah guitar with repetitive lyrics, the Cosmic Psychos have a simple sound that works well in context and remained largely untouched since they formed in 1982 when they evolved from the short lived Bum Steers and first achieved notoriety for their demo ‘Custom Credit’ which received enormous airplay on Melbourne public radio station 3PBS. It was later released on the Down On The Farm mini LP for Mr Spaceman Records which also released their debut LP. The band later moved to Survival Records releasing Go The Hack which was later licensed to Sub Pop Records. They eventually signed to Amphetamine Reptile Records for the American market for their 1991 album, Blokes You Can Trust. Production duties were handled by the then little-known producer, Butch Vig, fresh from completing Nirvana's Nevermind. 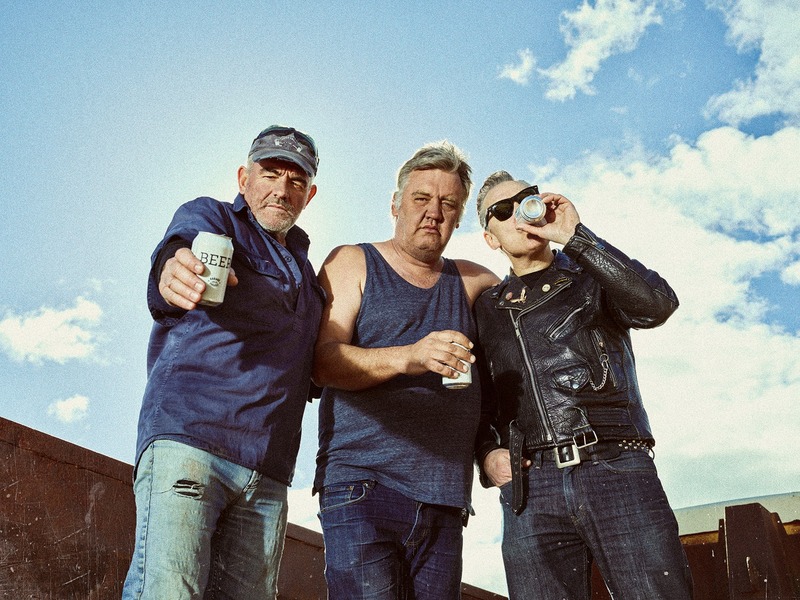 "Blokes You Can Trust" introduced a song that became an enduring fan favourite, "Dead Roo", which shed light on some Australian highway hazards. The band was also covered by UK band The Prodigy who released a version of "Fuel My Fire" co written with L7 which was largely based on a previous Cosmic Psychos tune "Lost Cause".